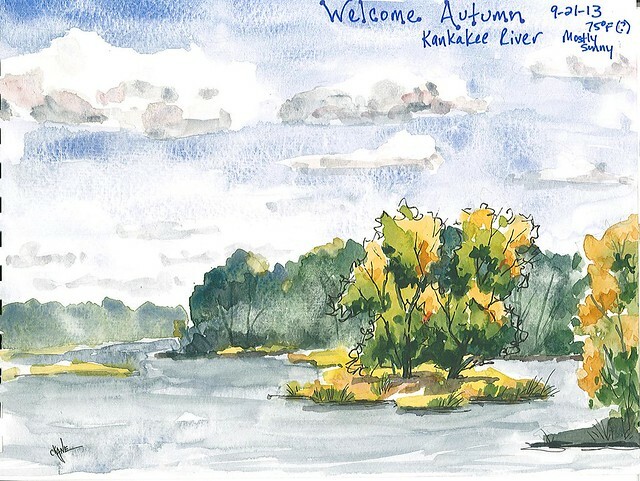 Autumn’s Approach – Kankakee River Watercolor Sketch – Let's Paint Nature! Autumn. My favorite season of all seasons. 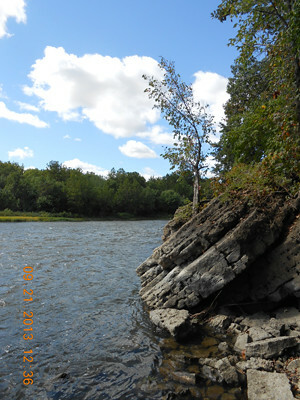 We are now experiencing Summer’s whimper and watching it lose its grip. I welcome the cool nights, the dance of the autumn leaf as it spins to the ground, and that unbelievably delicious smell that no other season can offer. Why does Autumn have to be so fleeting?!? To welcome this threshold, a road trip was in order to Kankakee State Park. What an amazing day. 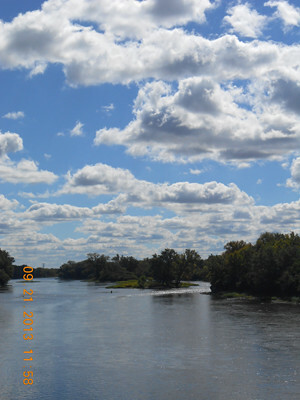 The tips of the trees are just beginning to turn along the Kankakee River. 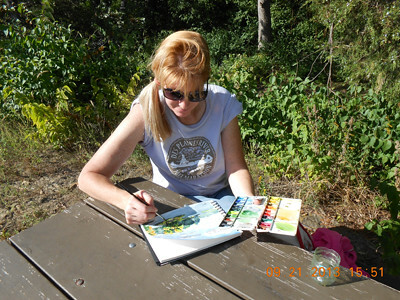 The sun was warm and nourishing my spirit as I was an admirer of nature replicating it in my sketchbook. How blessed I am to appreciate this. I do not take it for granted. What a gift to be able to paint what you see. You’re right, we’d better get out there while we can, fall won’t last forever. Oh, that’s one of my favorite places! !